Drive with additional peace of mind with a courtesy check or vehicle inspection in N Richland Hills at Firestone Complete Auto Care. We'll check everything from your wheels to your wipers! You adore your car or truck. If you didn't have it, everything would be a struggle, from getting the kids to school to making it to work on time. Here at Firestone Complete Auto Care, we know how much you value your vehicle because we feel the same way. That's why we always offer complimentary courtesy checks in N Richland Hills with every service or repair we perform. (Note repairs not included and extra.) What can you expect during an inspection? Well, a qualified technician will look at your lights, fluid levels, air filter, tires, belts, hoses, and car battery to help you watch out for small problems that could soon become big (and expensive). Regular auto inspections can be one great way to avoid major repairs and frustrating breakdowns. Need a more in-depth evaluation of your car's health? Schedule an appointment for a complete vehicle inspection at your N Richland Hills Firestone Complete Auto Care. 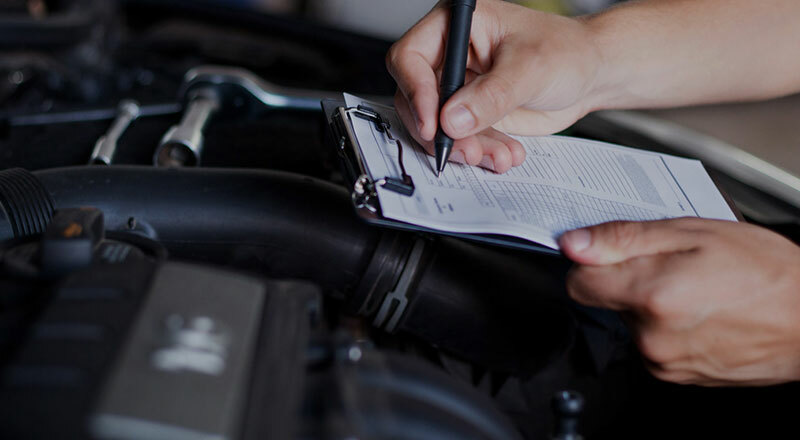 A qualified technician will examine everything that's included in our free check-ups, plus your vehicle's brakes, steering and suspension system, and exhaust to ensure things line up with manufacturer recommendations. Complete vehicle inspections offer the most thorough assessment of your car's health. Spongy brakes or weird tires noises, an inspection is always the right place to start. Stop by your nearest Firestone Complete Auto Care at the first leak, smell, noise, or light! If repairs need to be made because your safety is at risk, you can drive easy with the Firestone Triple Promise Guarantee. It’s our simple promise to you, that your car will be Fixed Right, Priced Right, and Done Right On Time. Some Firestone Complete Auto Care locations also offer Texas motor vehicle inspections and emissions tests, but you'll need to call ahead and ask. So whether you need a quick courtesy check before a road trip or want to find the source of your squealing brakes, schedule an appointment for a courtesy check or complete vehicle inspection in N Richland Hills ASAP. Car care isn't something you want to put off! From drivetrain services to steering and suspension to engine repair, head to a Firestone Complete Auto Care near you for your car or truck maintenance and repairs. We're an automotive shop, tire store, and car care center wrapped into one. Our professional technicians believe in truly complete auto care. When you bring your car or truck to us for maintenance, we will strive to make your visit satisfying. Experience the difference and book an appointment online for auto service in N Richland Hills, Texas today.